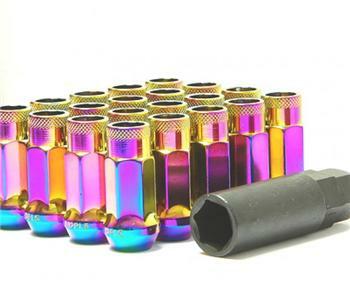 The latest lug nuts from Japan, the Kics Project Muteki SR48 Lug Nuts come in a set of 4 or set of 20 with key adapter. Manufactured from chrome vanadium, each lug weighs in at a mere 2 oz! 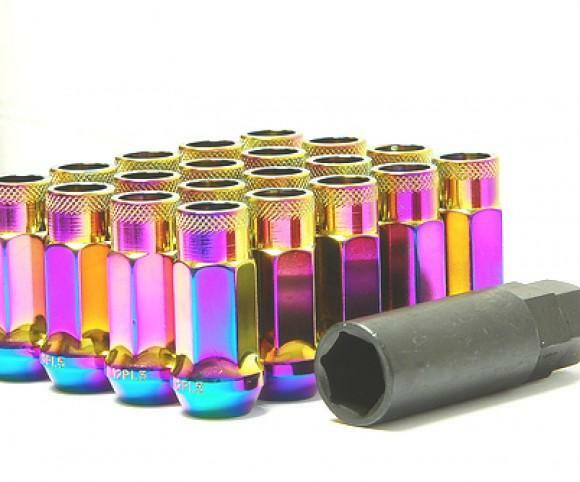 Kics Project Muteki SR48 Lug Nuts are available in open ended designs, making them easily adaptable for short or extended wheel studs. Super light-weight thin-wall construction using strong CHROME VANADIUM 28DCRVM SPEC. Knurled tips for better grip. Reliable and stronger than aluminum racing lug nuts.